One of the easiest ways to start a garden on a budget is by growing plants from seeds. You can grow your plants from seeds and save a lot of money. A packet of seeds only costs around a couple of dollars and you get so many seeds per pack while a transfer plant usually costs around $3-$5 per plant! Plus, the seeds you don’t use can be saved for the next season. Seeds usually stay good for a couple of years. You can get several growing seasons out of one pack of seeds. I have grown okra from seed and it was really easy. I had a lot of success with them. You don’t have to go out and buy special seed containers or pods to grow your plants. If you need to start the seeds inside, simply reuse old egg cartons or yogurt containers. Just wash them out and poke a whole in the bottom to help air flow. You then have free containers to grow your seedlings! If you use cardboard egg cartons, you may not even need to remove the seeds to transplant them ( as long as the plant doesn’t require more space). The cardboard will decompose in the soil. This is the method I did. You can buy raised garden kits at the store but they can cost around $200 depending on the size you want. I just bought some pieces of wood and put it together myself. It was simple and only cost around $50 for all of the supplies. You can also use old pallets to build a raised garden. Find them at a local store for next to nothing. Just ask if they have any pallets they no longer need. You may be able to get them for free if they are just going to throw them out anyway…it never hurts to ask. If you have a neighbor or friend who likes to garden, see if they would be willing to share some of their seeds. You can swap seeds with each other to cut down on both of your costs. This is also a great way to try new vegetables or flowers and see how they grow in your yard before you go out and buy a lot for yourself. You can make your own compost out of old grass clippings, coffee grounds, egg shells, and vegetable peelings. You don’t need any kind of special container, just a regular plastic container will do. It will need to be stirred around often but it is FREE compost to add to your garden. You won’t have to spend money on fertilizers or compost to keep adding to your garden to keep it healthy. We get the newspaper for the Sunday coupons anyway, right? You can reuse the newspapers in your garden. Just lay them down before you add the soil and it will help keep the weeds out. This helps keep the plants healthy and saves you time from weeding. You can also shred it up to use to make compost or use as mulch around your plants. If you are planning on doing a garden next year, wait to get your gardening tools and accessories at the end of this season. Stores will put all of that stuff 50-70% off. A great way to save on tools, hats, watering cans, gloves, hoses, and so much more. If you plan ahead, you will save a bundle. If you have any old tires laying around, you can reuse those for container gardening. Just fill them with soil and you have a free garden container. You could even paint the outside of the tires if you want them to look pretty. Do not pay for garden markers! You can use Popsicle sticks. Just write with a permanent marker all the vegetables you planted and use them in your garden. Another idea is to cut a milk jug into strips and use those as well. There is nothing worse then going out to harvest and seeing your fruit and vegetables eaten! If you have an old green hose, you can cut it into sections and lay it in your garden. This looks like a snake to the birds, squirrels, rabbits, and deer that may try to eat your plants. You can also cut up an old soda can and tie the pieces to a stake so that they flutter in the wind. The shiny parts moving in the wind keep the birds away. You can collect rainwater to cut down on your water costs. Just collect it in a regular barrel, nothing special, and use it to water your garden and flowers. The best things to plant are those that come back year after year. These are things like berries and fruit trees. A fruit tree can yield 200 pounds of fruit in a few years. That is not a bad return on a $15 investment. Plus, you don’t have to replant them, just maintain them. 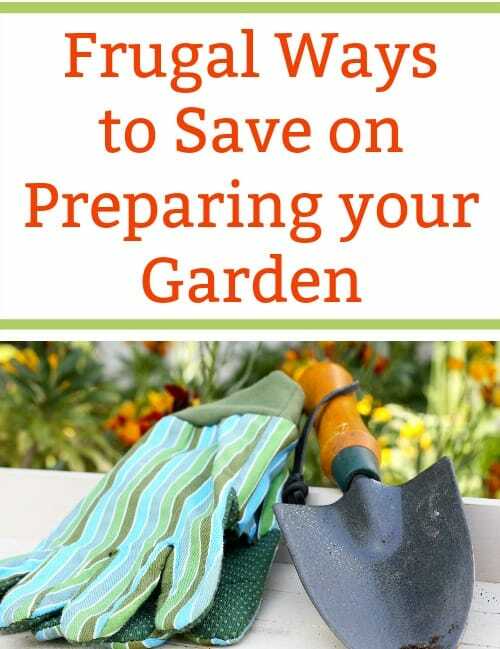 This is the best thing you can do to start a garden on a budget. You don’t want to spend all your time and money on a garden that doesn’t grow! See what grows best in your area. What are good companion plants to the ones you want to grow? What kind of care they need?. There is so much free information online that it is so easy to grow a garden successfully. Check out Youtube for some great tutorials. 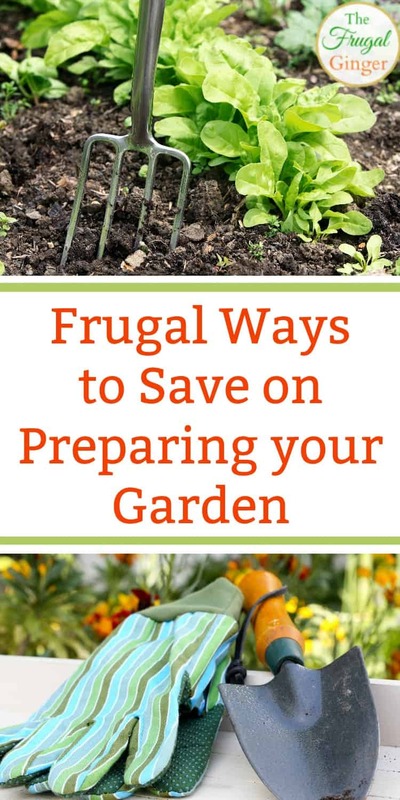 I hope that this has gotten you thinking about all the ways you can save money on your garden. If you have any tips that I haven’t listed, please leave them in the comments below. I would love to hear what you do to start a garden on a budget! Lots of great ideas. Most of my friends have gardens. I haven’t done one in several years. I have “begin composting” on my sometime list. It’s something I’d really like to do.